There are some simple, but important things to do to keep your opal jewellery looking its best. 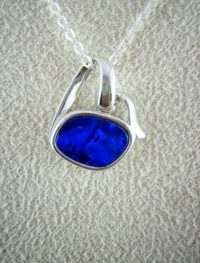 Regardless if you have one piece of opal jewellery or several, you will want to keep each piece looking it’s best. Here are some simple, but important tips to caring for your opal pieces. 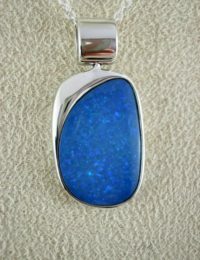 Solid or natural opal will not be affected by water, creams or oils. 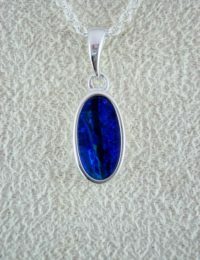 In fact we suggest you clean your opal with a little mild detergent and water and polish dry with a soft cloth. Oils and face creams will not damage your opal jewellery, but a build up of these products will reduce its shine and clarity. Constant abrasives, scrapes or a hard knock could damage your opals; doing the washing or gardening wearing your opal jewellery is probably not a good idea. When you are taking your opal pendant on and off be sure to hold both ends of the choker or chain, so that the opal doesn’t slide off onto the floor. Your jewellery will then most certainly provide you with many years of enjoyment. Most of all…enjoy your opal jewellery.